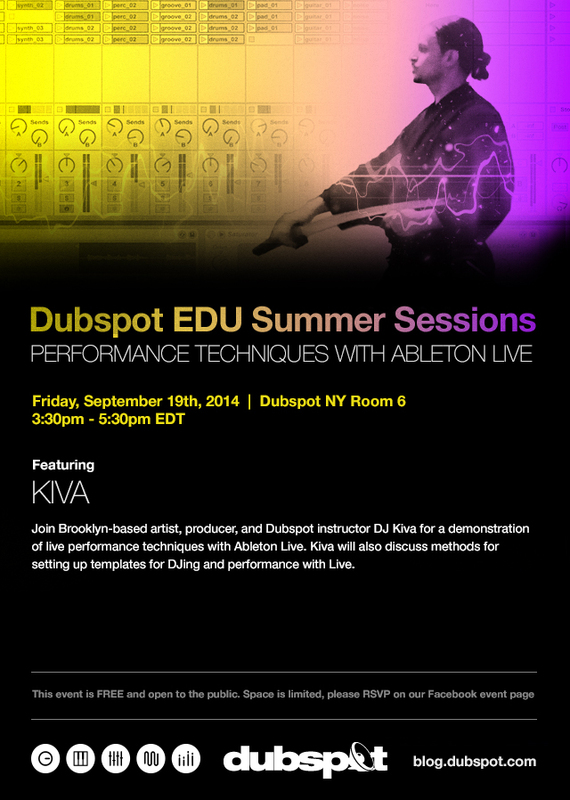 Dubspot’s EDU Summer Sessions roll on with this workshop featuring Dubspot instructor Kiva. Kiva will demonstrate live performance techniques using Ableton Live. Interested in taking Ableton Live classes at Dubspot? Ableton Live Classes start 9/22 in NYC and 9/22 in LA. Enroll Now! Brooklyn-based artist, producer, and Dubspot instructor DJ Kiva is known for his high-energy live sets that incorporate dub and electronic music. In this workshop, Kiva will demonstrate some of his performance secrets with Ableton Live. Kiva will also discuss methods for setting up templates for DJ and performance with Live.